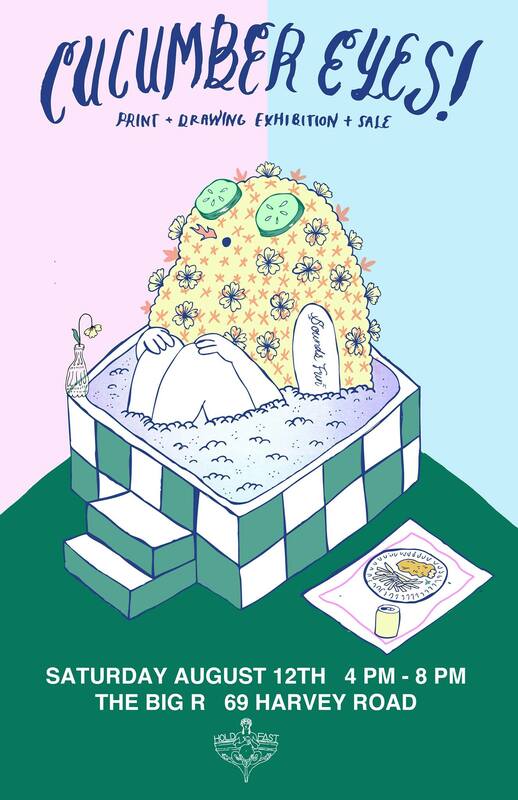 CUCUMBER EYES is an exhibition of prints, drawings, and zines made by artists from across Canada. 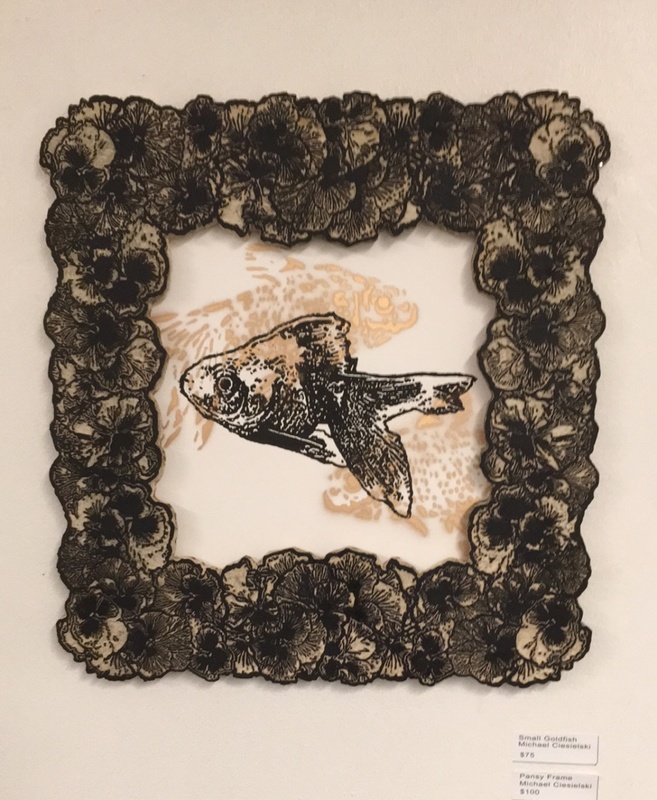 This show is a pop up event in part with Eastern Edge Gallery’s HOLD FAST Contemporary Arts Festival, and will be open to the public during the evening of the Art Crawl. 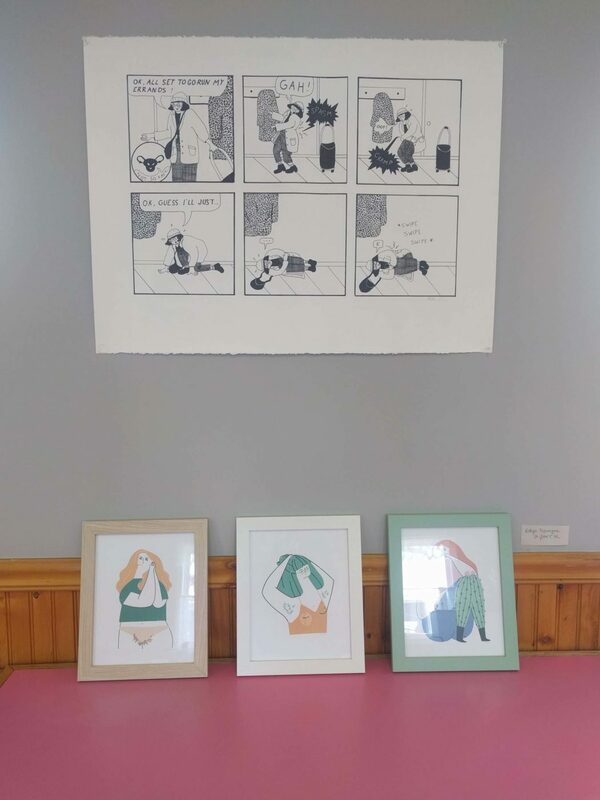 Come have a drink and a feed of fish and chips and look at some art! 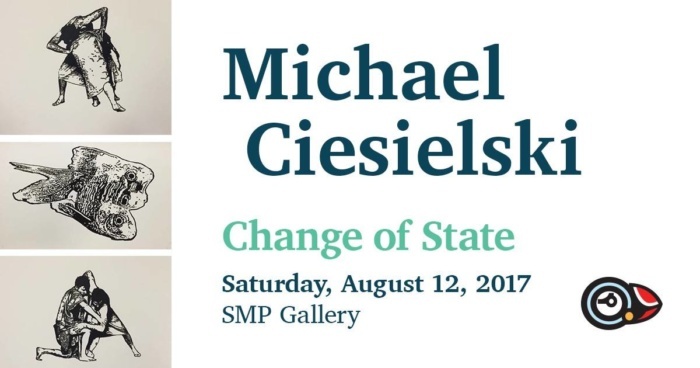 Michael Ciesielski’s exhibition: Change of State. 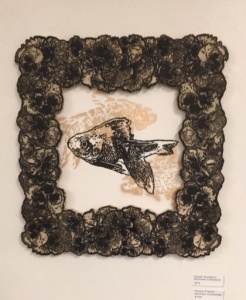 Michael Ciesielski is a multitalented emerging artist known for his exploration in the fields of printmaking, film/video and sculpture. Michael’s work draws inspiration from the social expectations of masculinity and his acceptance of his sexual identity. Michael majored in fine arts at Queen’s University in Kingston, Ontario, with a minor in art history. Courses of interest to him included Feminist Art History, French Art and its Reception and Printmaking in Early Modern Europe. At Queen’s, Michael developed a passion for woodcuts, particularly in the style of master printmaker Albrecht Dürer. Our relationship with textiles is most intimate. Textiles are in contact with our bodies for most of our journey on earth. More than objects; textiles comfort, transform, empower and shape our personal narrative. Our fast-fashion, disposable culture, has changed the western notion of the lifespan of a garment. Very few people consider mending a viable option. 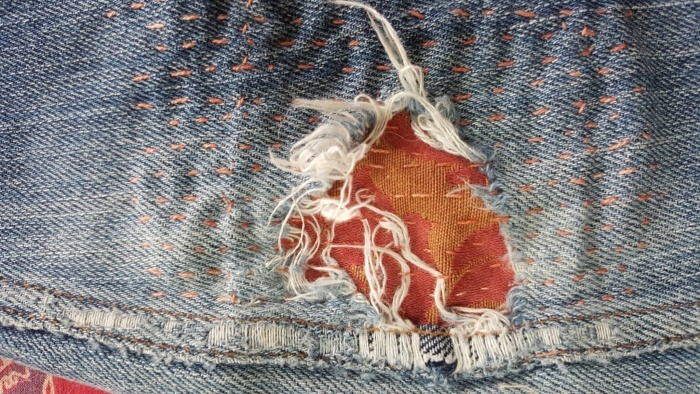 More than utilitarian repair, mending honours the cloth; the practice being meditation. 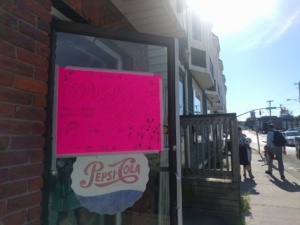 Join Susan Furneaux for a Mending Bee, at Georgetown Cafe and Bookshelf on Saturday, August 12, 2 – 4 pm. 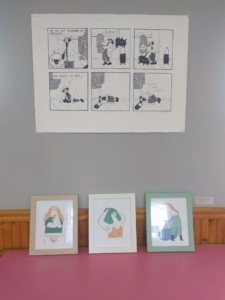 Personal collections about stories and textiles and mending will be shared and documented. Bring a beloved item you would like to mend or one that has been mended to chat about. All materials supplied and instruction will be given. 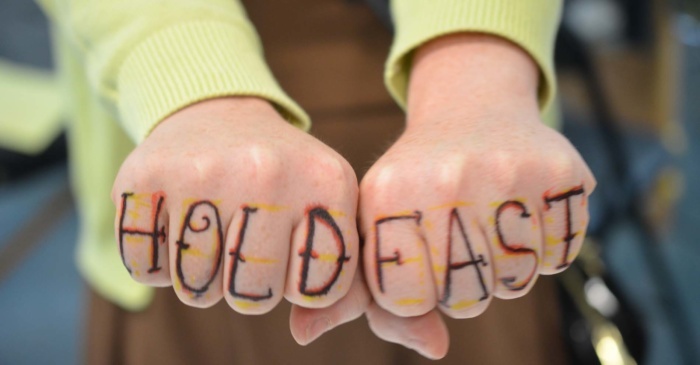 HOLD FAST is Thrilled to host Hooligans Tattoo Shop in the rOUGE Gallery space! Their amazing tattoo artists will be providing the opportunity for Art Crawl goers to get some ink! Both real and sharpie! Sharpies will be on hand to have some fun and feel dolled up for the festival with fresh / non-permanent ink! Want to test out an idea – perhaps by the end of the night you’ll want it forever! Flash tattoos will be available!An exciting opportunity to have your tattoo done in a gallery space! 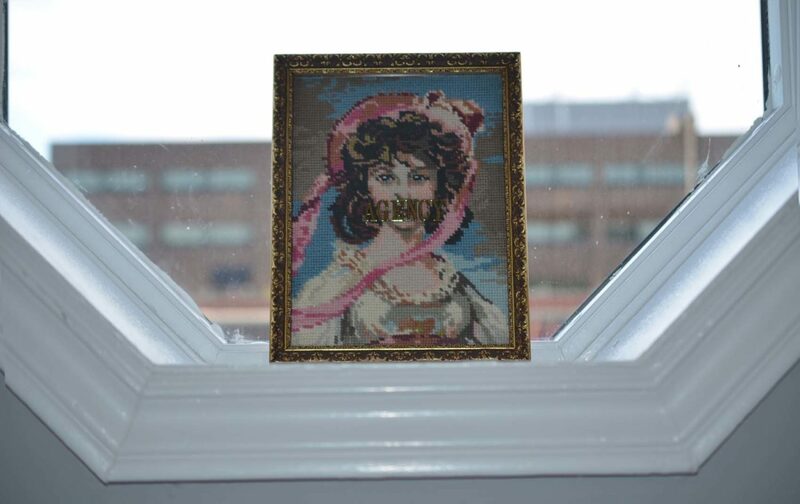 Custom works of art for HOLD FAST Contemporary Arts Festival. 50% of the money will go towards HOLD FAST! SMP is holding a Guerilla Printmaking Event and Scavenger Hunt in conjunction with Eastern Edge and Hold Fast Contemporary Art Festival. Participants will be given a list of items, curated by printmakers Michael Ciesielski and Jason Wells, which they must find and make reliefs and/or rubbings of. Time is limited and there are prizes to be won! 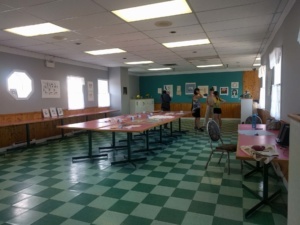 Completed projects are celebrated during Hold Fast’s Art Crawl and exhibited in the SMP gallery. 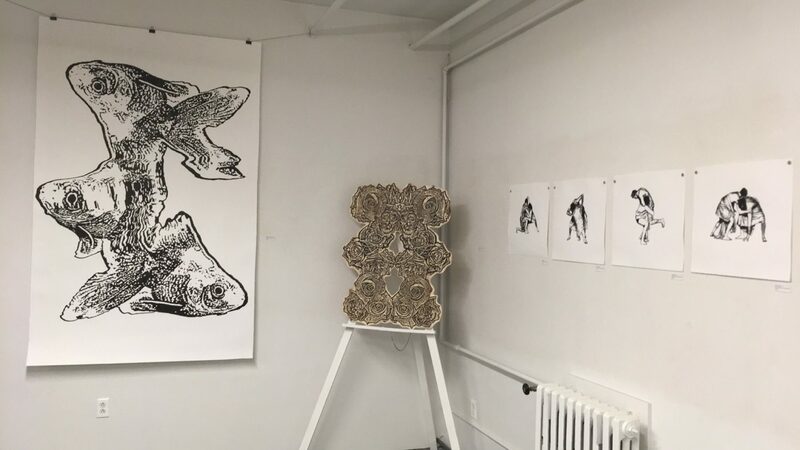 This project invites the visual arts community, and the public to participate in a contemporary exploration of printmaking while exploring the geography of downtown St. John’s. This event is open to everyone, free of charge and encourages participation of all ages. 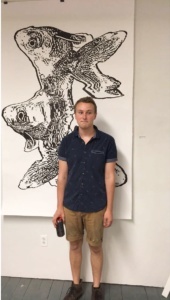 Jason Wells is a multimedia artist from Corner Brook, NL. He works in St John’s, NL as a Letterpress Printmaking Devil and Alternative Drag Performer. In his print work, Jason enjoys making very detailed vinyl-cut relief prints. 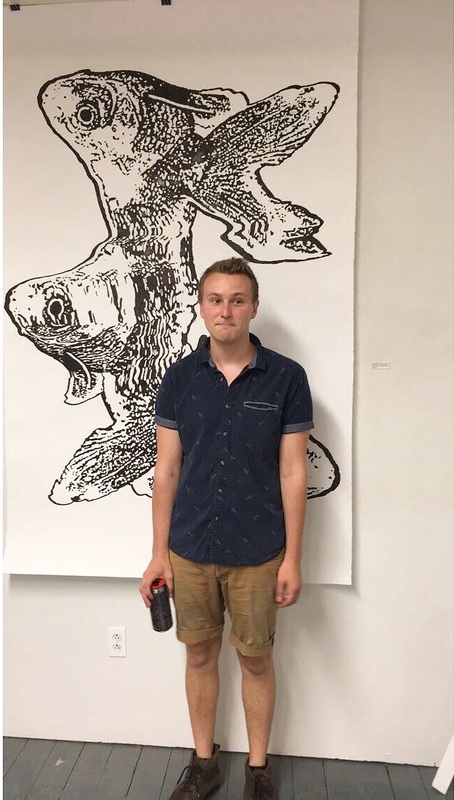 Wells is interested in pushing the Queer agenda while exploring the way isolation plays into the mind of a Newfoundland Artist. 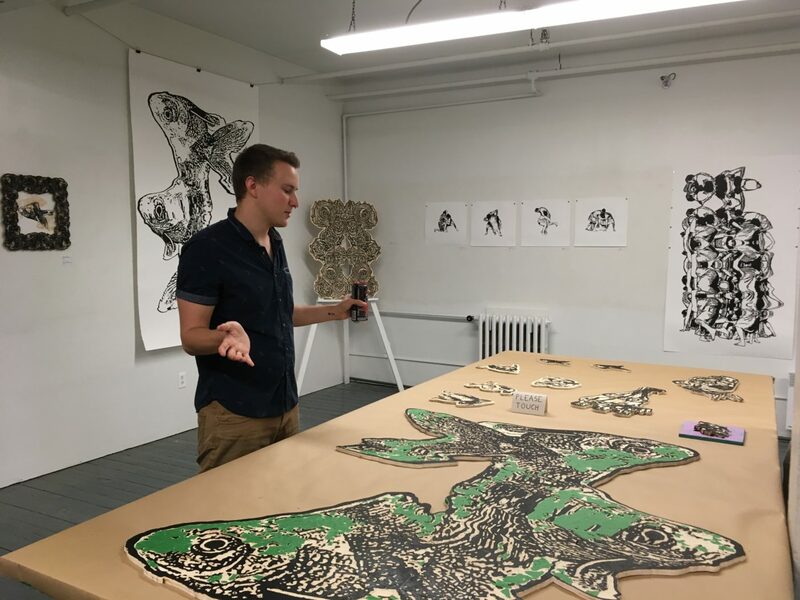 Michael Ciesielski, SMP’s current Don Wright Scholar, is a multitalented emerging artist known for his exploration in the fields of printmaking, film/video and sculpture. Michael majored in fine arts at Queen’s University in Kingston, Ontario, with a minor in art history.